A recent poll undertaken at Climber.com indicated that people who earn more than $5000 are engaged in two important activities throughout the day. The first activity is searching online for new jobs and the second being applying for the various newly discovered positions. HR experts are of the opinion that referrals from within the organization are more successful for job seekers, than just updating an online CV regularly in a popular job portal site. 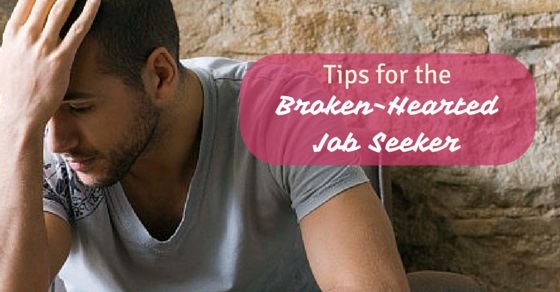 However the broken hearted, tired jobseeker sometimes follows a path which is less fruitful for him and it is here that we recommend certain tips which would help him to revive himself and get the coveted job that he has been dreaming of for so long. How often do you say these words to yourself like “Will I ever get a full time job?”, ” Are there any jobs in the market?” and “Do I know the right people to get a good job?”. HR experts are of the belief that when you are looking for a job and not finding one, you would get demoralized and ask the above questions to yourself quite frequently, at least once a day. But when you do so, you are limiting your belief and this would affect your motivational level to seek a good job for yourself. It is essential that you understand that there is a job there for you and once you react to this thought positively, you would become motivated to get the job for yourself. But if you let negativity and doubt surround you then you are sabotaging your career and recruiters would gage wrong signals from you. When you are an active job seeker you have to understand a few essential facts. Here you have the option to become part of a group of 300 job applicants who apply on any given online jobs or you can carefully use your social media tools and seek referrals for new jobs. You have to understand that you are not alone, there are hundreds like you looking for a good job. But you can get a good job if you plan out your survival strategies and follow it strictly. When you are fired, the situation is very unpleasant and there is a lot of negativity around. However you have to make the best out of the situation and keep your cool. Good strategies to apply here are being diplomatic with your employers and try to understand their situation and reasons for firing you. Never criticize your last employer in any interview, but carefully offer constructive criticism if the need arises. HR experts and hiring managers are of the opinion that you must always keep your CV updated and not wait till the time you get fired, to update your CV. If you have an updated CV at your disposal, you can immediately make it start working for you. However if your CV has not been updated for years, you have to make time and fine tune the CV with your updated experience and skills. When you get fired you suffer from remorse and this makes you ponder over and over again regarding why you got fired in the first place. However you have to accept that the situation has occurred and you need to get over it quickly. The time you have in hand has to be utilized effectively and you cannot afford to be lazy now. Many successful people have used this time between jobs to gain rich experience as a freelancer and also to learn new skills which gave them the winning edge later on. When you give an interview you have to accept the fact that you got fired, but you can show a potential employer the learnings that you had and this would create the necessary positive impressions in their mind for you. Julia Jansen, a career coach is of the opinion that most hiring managers today use social networking sites to search for their candidates. One of the most important things that you need to do is revive your linkedIn network and start speaking to a few people. You would be surprised that many would come forward and help you, as you had helped them sometime earlier. Do not feel bad to ask for a favor and keep your face straight in case you are not obliged. Here it is essential that you keep your ego under lock and key and appear to be very enthusiastic in the eyes of your potential employers and your important networking friends. It is very embarrassing when you are asked at an interview regarding why you got the pink slip. You would be engulfed with raw emotions for a few seconds. But remember that if you tell the story truthfully, you might get a new job in the next few days. Most employers understand the reasons why you were fired, but they do want to test your attitude and test if you have the right skills for their job openings. It might have been a few years since you last took an interview. You have to understand that the scenario is very dynamic in nature and things have changed. You have to learn and play according to the new rules of the game. Thus it would be a great idea if you can read about interviews and also request a friend to take a few mock interviews. These activities would lend you a finesse for the interviews and you would never be caught off guard with a question, which otherwise might have embarrassed you. The attitude in an interview should be that you have learnt from your experiences and are currently available to a potential employer who could use your multi-faceted skills and experiences for their upcoming project. When you project a positive attitude, people will react to you in a positive manner. If you think you can crack the first job interview that you give, after you have been fired, then you are setting unrealistic levels for yourself. HR experts are of the opinion that you would need to face a few rejections in the interviews before you know what to do and then get a job. This duration could vary from a week to a few months and this would largely depend on your skills and experience that you currently have. It would be difficult initially to face rejection. But from each experience you can learn something new and use this experience in the next interview that you take. Ultimately it depends on how you let the experience influence you. It can break you or it would make you. In conclusion it can be added that it is in your best interest, that you stop playing the humiliating episode of you getting fired in your mind, over and over again. Here you have to understand your responsibilities to yourself and family and get back to real world quickly. Calm yourself and start looking for a job. Otherwise you would remain unemployed for long durations and that would be detrimental to your career. Next articleHow to Keep Your Spirits Up During a Job Search?